Horseback Riding and ATV Tour - Tour Guanacaste, bringing Costa Rica to Life. Serving all major hotels and resorts in Guanacaste, Costa Rica. 2 hours exploring by ATV + 2 hours of horseback riding = 4 hours of fun! This exciting two part tour starts with a beautiful horseback ride. Guanacaste, Costa Rica is cowboy country. Everywhere you go, you'll see livestock. Take this tour to view this world from a different perspective. Stop to look at monkeys or have a sip of Tamarindo Tea. 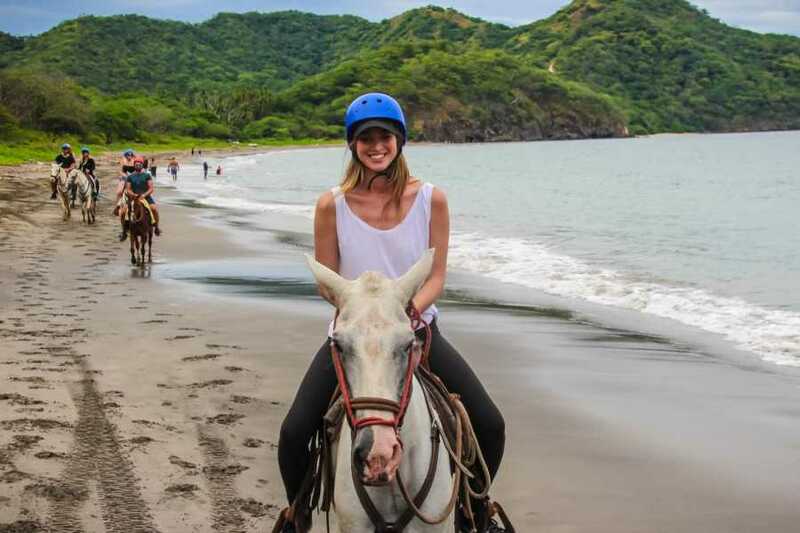 Ride the beaches and hidden trails of the gorgeous Guanacaste, Costa Rica Pacific coastline. Pause along the way to swim and snorkel. Or ask your guide to help you find a secret waterfall off the beaten path. After all that fun, enjoy an unfailingly beautiful sunset. Did you know that horseback riding is suitable for all ages? Our horses are matched up to our riders' ages and experience levels and our guides are trained to ensure you have a wonderful experience while focusing on your safety at all times. This is one of our most popular tours: but don't just take our word for it, try it for yourselves. Once you are done on the horse get a little more adventerous and hop on an ATV. We will either pick you up or you can meet us at our office. The tour will start from various locations around the Playa Potrero, Playa Brasilito, Playa Flamingo area. You explore on your ATV's for two hours and end the tour back at the start location. Once back at the office, if you used our transportation services, we will shuttle you back to where you are staying.